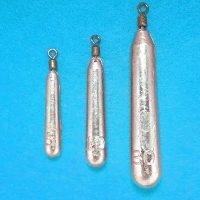 Sinker „Drop-shot“ 5-60 g, 25 pcs. Sinker „Bullet Active“ green, 4-30 g, 20 pcs. Sinker „Easy-rider“ brown, 6-30 g, 20 pcs. Sinker „Eccentric“ green, 3-40 g, 20 pcs. Sinker „Eccentric“ red, 3-40 g, 20 pcs. 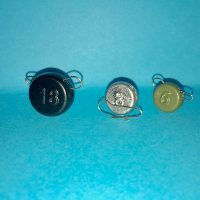 Sinker „Eccentric“ – 4 g, 20 pcs. Sinker „Bullet Active“ black, 4-30 g, 20 pcs. 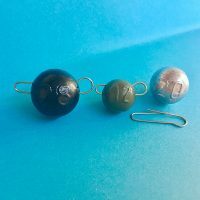 Sinker „Eccentric“, black, 3-40 g, 20 pcs. Sinker „Bullet Active“ red, 4-30 g, 20 pcs. 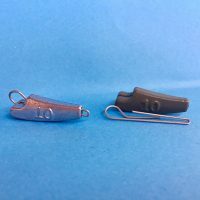 Sinker „Eccentric“ brown, 3-40 g, 20 pcs. Sinker „Bullet Active“ brown, 4-30 g, 20 pcs. Sinker „Cheburashka“ green, 3-60 g, 20 pcs.